Want to help students build better arguments? There’s a map for that. While just about everyone agrees that critical thinking should be learned in school, the actual teaching of better reasoning is not easy. As an educational approach, concept mapping is far from new. The practicedates back to at least the 1970s, and it typically involves creating diagrams that visually represent a set of ideas. Argument mapping is a variation of concept mapping, and the approach encourages people to create diagrams of an argument’s contentions. Even in this simple example, the benefits of creating an argument map are pretty clear. 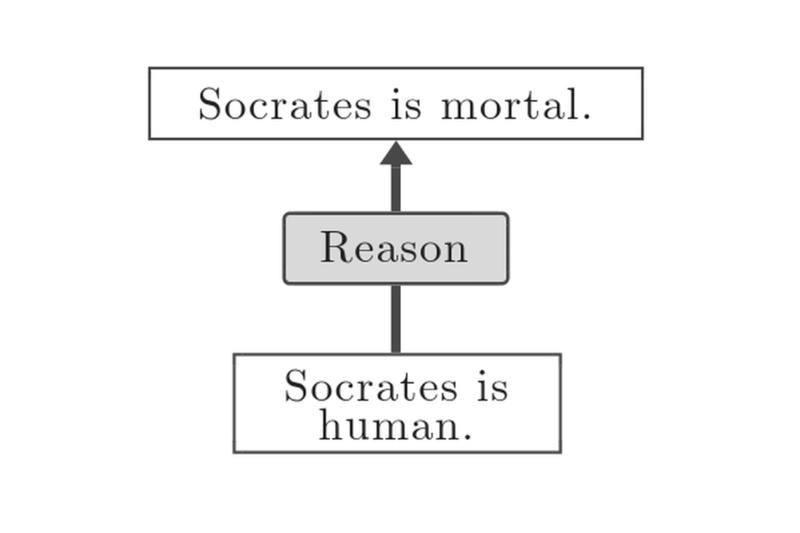 By visually representing the contentions of a statement, people gain a better understanding of the statement’s strengths and weaknesses, and in this example, we can see that Twardy does not provide a lot of evidence that Socrates is mortal beyond the fact that Socrates is human. A forthcoming paper pulls together a large body of research to support the idea that argument maps can boost critical thinking. Written by Martin Davies, an associate professor at the University of Melbourne and his colleagues, the article cites a wealth of studies showing that argument mapping has a large impact—in some cases, double or even triple the impact of a traditional critical thinking course. One of the benefits of argument maps is that they focus students on inferences. According to the research paper by Davies and his colleagues, it’s easy to miss the leaps of reasoning that make up a contention. Argument maps address this problem by outlining the claims for a contention, and thus people gain a better understanding of how to construct an argument of greater quality. When it comes to teaching critical thinking, argument maps are more effective than many other interventions. In an earlier article, Davies noted that college age students using argument mapping over a ten week period improved their critical thinking skills as much as a student who had taken four years of more conventional, critical thinking training. What’s more, ten weeks of practice on argument maps may not even be necessary, and Davies notes that some students show gains in critical thinking even after an hour of practice on an argument mapping tool. A slew of mapping packages are now available. Some like Rationale come at a cost. Others like MindMup for free, as Davies notes. An old-school approach to mapping shouldn’t be dismissed either, and a Carnegie Mellon University study once found that using pencil and paper to diagram an argument also shows strong outcomes. There are downsides to argument mapping, of course. For one, the practice may end up turning students off to reasoning, since the tools makes it easy to spin out argument after argument.